Ladbrokes is one of the latest betting and gaming company’s to arrive in Australia. Ladbrokes is considered to be a global leader in the betting and gaming market, with over 125 years experience. Originally British-based, Ladbrokes are now committed to offering the Australian punter a wide range of betting options across an extensive variety of national and international markets. With fresh products such as Pick Your Own Odds, Fixed Price Exotics, Favourite vs Field and QuickBet – the fastest way to bet online, Ladbrokes.com.au is definitely proving to be one of the best online bookmakers. 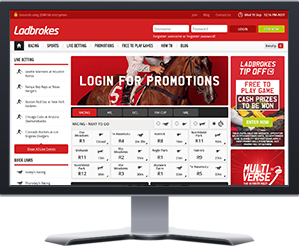 Ladbrokes offers a superior user experience on the web and through mobile, it’s fast and innovative, easy to navigate – it’s perfect for all types of Australian punters, from beginners to advanced. With great products and promotions, fantastic web and mobile platforms and Ladbrokes commitment to providing value, product innovation, depth of markets and a superior user experience, it’s definitely worth checking out what all the punters are talking about. Ladbrokes offers a superior user experience on the web and through mobile, it's fast and innovative, easy to navigate and has great daily promotions for its members. Visa debit card available for members..
Top website and mobile app. Multiverse – The ultimate multi experience. Wide range of sports betting markets. First bet match instead of first deposit match. Multiverse Not only can you build your same game multis, you can combine same game multis, and regular sport and racing picks into one multi selection. Ladbrokes Card Members who apply for a Ladbrokes Card will get instant access to their winnings. Favourite vs Field If you have doubts about the favourite winning, Ladbrokes allows you to increase your chance of beating them by backing the whole field. Live Racing Stream Stream all Victorian races for free on your mobile or desktop. Info Hub Great source of information on racing, including form guides, speed maps, featured bets and more. 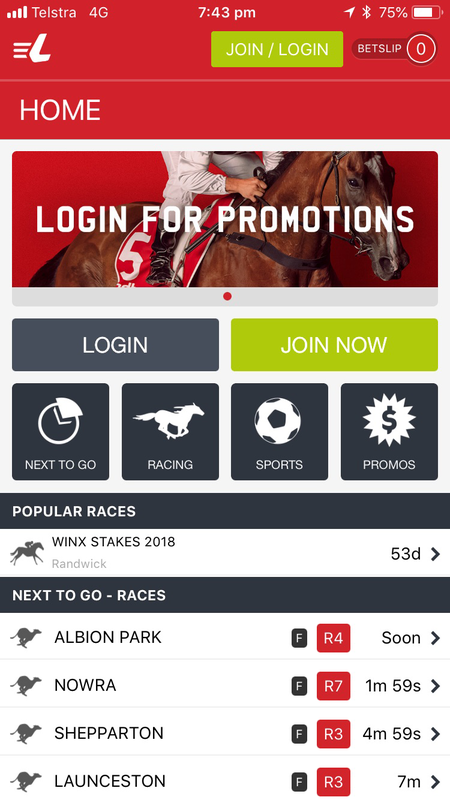 The Ladbrokes mobile app has an easy-to-follow platform which allows Ladbrokes punters to quickly navigate, place bets and withdraw their funds with just a few simple taps of the screen. 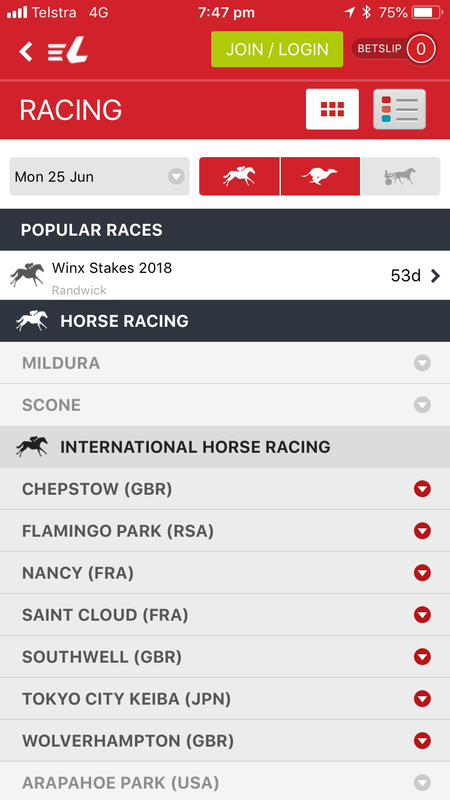 Downloading the Ladbrokes app gives you access to thousands of Local and International Thoroughbred, Harness and Greyhound racing markets on your mobile. Step 1. Click on any Ladbrokes link or banner on this website to take you to the registration page. The NFL Draft is always fascinating and the 2019 edition is set to be no exception. We have a wide range of betting markets available and there is plenty of value to be found! The Warriors lead the Storm 8- 4 at the break but the market still has Melbourne favourite to get the job done. There is set to be plenty of drama at the 2019 NFL Draft and we have a wide array of betting markets available. We have analysed all the key markets and have found plenty of value in our NFL Draft Preview. We've nominated one player from #NRLStormWarriors to be our "Footy Freaks". If Will Chambers scores a Try and Storm win - you win!